With the power back on, its time to replenish the cookie cupboard. 🙂 I had spied this Brown Sugar Cookie recipe in the Company’s Coming Cookies recipe book a few days earlier. This afternoon after lunch, with the oven still warm from lunch, I took a crack at making these treats. 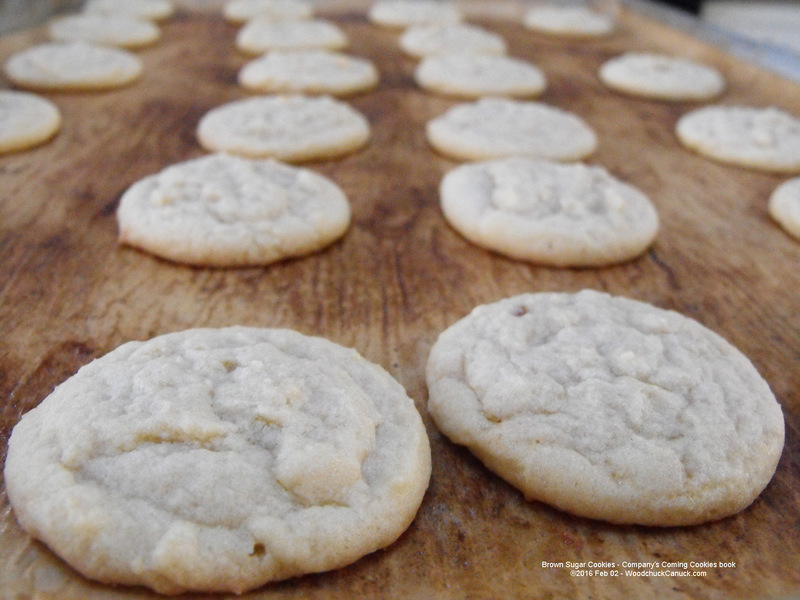 The recipe calls for 6- 8 minutes at 350ºF but there was no way the cookies were done in that time. I find that most recipes I follow I have to add 2-3 minutes to the baking time. So the first pan (pictured above) were baked for 10 minutes after a quick look at them on 8 minutes. They were panned using a #24 scoop. They rose well, and while a little soft, I took them out at 10 minutes more so as an experiment to see how they would cool down, while the second pan was in the oven. As expected they did shrink down. Pictured below is the second pan. I baked those for 12 full minutes. Certainly a bit browner. The aroma is nice, a subtle brown sugar shortbread. The cookies are light and soft from the first pan. 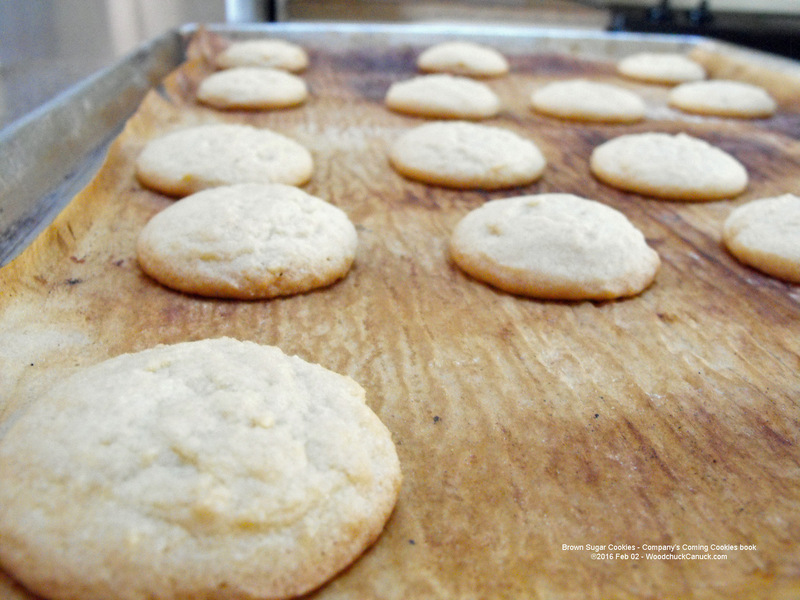 Overall a good recipe, a nice, light shortbread type cookie with a hint of brown sugar flavour. Comments and questions appreciated (post below).